We all hate format wars. The remarkable success of the DVD in just eight years testifies to the enormous appeal of a single optical disc format that will play in virtually any DVD player or computer drive anywhere in the world. 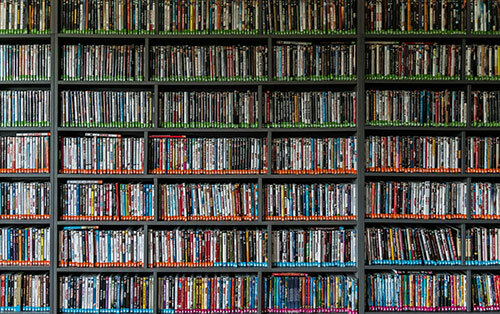 Recent figures indicate that at least 400 million DVDs are shipped to retailers every three months and that now you can choose from more than 140,000 different titles and movies on DVD. Likewise, the worldwide acceptance and market success of the Compact Disc (and before it, the LP record) underline the ongoing failure of SACD and DVD-Audio (the two high-resolution multichannel audio disc formats) to attract widespread consumer interest and sales. In fact, more vinyl LP albums are currently sold than DVD-Audio or SACD discs combined, a somewhat startling statistic! The failure of SACD and DVD-Audio to achieve any kind of market presence can be blamed on their incompatibility with each other and with most existing DVD players. While there are a few "Universal" DVD players available (some costly, some inexpensive) that play both DVD-Audio and SACD discs, it's too late to capture any kind of mass acceptance. The momentum was lost early on when the Sony SACD camp (Philips and a few others) and the Matsushita DVD-Audio group (Panasonic and many others) refused to combine the best qualities of each format in a compatible format that would prove attractive to a mass audience. HD-DVD's chances of commercial success seem slim, except for one important fact: Toshiba's HD-A1 HD-DVD player will be available in March '06 and retail at $499, less than half the price of Blu-ray machines, which won't be available until summer and will sell for $1,000 to $1,800. On the other hand, Blu-ray has lots of movie studio backing, including Lion's Gate, MGM, Columbia, Fox and Disney, with releases like Pirates of the Caribbean, Kill Bill, and House of Flying Daggers promised as early as this summer. In many respects both HD formats have highly similar qualifications. Blu-ray and HD DVD both use new short-wavelength blue lasers, which will focus on and read much tinier pits than the larger red lasers used in your current DVD player. (The pits plus the "land"-the spaces between the pits-represent the digital code or pulses that carry the video and audio data.) When you want to record ultra-sharp full-motion HD video images, it takes far more data to encode the video and audio, a huge amount in fact. What that means is that normally you'd have to make the disc much larger to hold all the HD video content. If you don't make the disc larger then you have to make the pits much smaller, and cram more spirals of pits much closer together onto a disc. Smaller pits require a laser that can read the tiny pits, so both Blu-ray and HD DVD chose a blue laser. But the Blu-ray disc's pits are even smaller than those used on HD DVD, so Blu-ray's storage capacity is greater than HD DVD's. A single-layer Blu-ray disc will hold 25 gigabytes (GB) with a dual-layer disc carrying 50 GB. By contrast, HD DVD has a maximum of 15 GB (single layer) and 30 GB (dual layer). 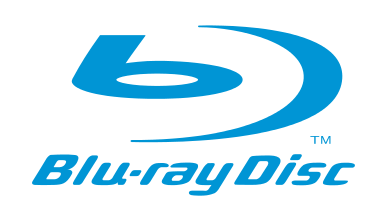 (Both Blu-ray and HD DVD will also have single- and dual-layer rewritable discs, with storage capabilities similar to their read-only versions.) You can argue that greater capacity is always more attractive, but keep in mind that both of these HD disc formats have relatively huge capacities, especially Blu-ray's at 25 GB for a single-sided single-layer and 50 GB for a single-sided dual-layer disc, or roughly 5 hours of HD material. These capacities carry through to the recordable (write-once) and rewritable (erasable) versions as well. TDK has already developed a quad-layer 100-GB Blu-ray disc capable of storing ten hours of HD material. To achieve that enormous capacity, Blu-ray's pits are not only tinier but also the disc's recording layer is much closer to the disc surface. Although HD-DVD's potential capacity is significantly less than Blu-ray's staggering 50 GB capability, HD-DVD has one large advantage. Replicators (the manufacturers of the actual high-def discs) can economically put HD DVDs into production with only minor modifications to existing DVD pressing machinery. Blu-ray, on the other hand, requires totally new retooling, plus new manufacturing lines and presses, so there is a huge potential capital expense for Blu-ray disc manufacturers. HD DVD also has one other advantage over Blu-ray. A hybrid HD DVD is possible, with a regular DVD movie version on one side of the disc and the High-Def version on the flip side, a feature that retailers and consumers would applaud. Toshiba's HD-DVD player will be backwards-compatible and so will the Blu-Ray machines, which means they will play your existing DVDs with ordinary DVD resolution (480i; 480p) as well as new High Definition discs. Statements by various spokespersons suggest that HD-DVD is 1080p capable, but the HD-DVD machines I've seen output 1080i via HDMI outputs. Blu-ray players are definitely 1080p compatible. It's hard to fault any of the HD disc formats' stupendous audio capabilities, which include lossless multichannel audio for eight discrete, full-frequency channels from both Dolby and dts. Dolby Digital Plus, which is a "lossy" algorithm like Dolby Digital 5.1, will be the core audio format, with capabilities of up to 13.1 discrete channels but in most applications running at 7.1-channels, all discrete. Dolby Digital Plus will run at its highest rate of 640 kilobytes per second (kbps) rather than 448 kbps (the current highest data rate of Dolby Digital 5.1), and will be backwards compatible with your existing Dolby Digital/dts AV receiver, only to the extent that embedded in the data stream will be a standard Dolby Digital 5.1 mix. If your existing AV receiver has a Dolby Digital decoder, then it will process a Dolby Digital 5.1 mix from an HD-DVD or Blu-Ray player. But Dolby also has TrueHD, based on Meridian Lossless Packing developed for high-res DVD-Audio discs, which enables eight full-frequency channels that are totally lossless (a "lossless" audio record/playback format delivers audio that is bit-for-bit identical to the studio master recording). Dolby TrueHD will be mandatory in HD-DVD players and optional for Blu-ray players. Dolby TrueHd runs at data rates of 1.6 Mbps to 3.6 Mbps and will support 16-to- 24-bit word lengths as well as sampling frequencies of 48 to 192 kHz. To get TrueHD, you'd need an HD-DVD or Blu-ray player with built-in decoders for the high-resolution audio (the Toshiba players have those built in) as well as an analog 8-channel input on your AV receiver. Alternatively, Dolby TrueHD will also output an 8-channel PCM data stream via HDMI or IEEE 1394 "Firewire" connectors. But that would still require a TrueHD decoder to sort out channel ID's and the like. Dolby Labs intends that all audio processing for TrueHD be done in the HD-DVD player, not in the A/V receiver. DTS will also be a standard soundtrack of the new HD disc formats, and your existing dts AV receiver will decode the dts soundtrack, possibly running at higher data rates, which should mean better sound than you hear now from dts. Like Dolby's TrueHD, dts will also have its own lossless format, called dts HD, and as with Dolby TrueHD, you'd need to have an HD player with a built-in dts-HD decoder to benefit from dts HD's lossless capabilities. If your current A/V receiver has an 8-channel analog input set, then you'd be able to enjoy the improved audio capabilities of DVD-HD and Blu-ray players by connecting the eight analog audio outputs from the HD player to your set of analog inputs on the AV receiver.